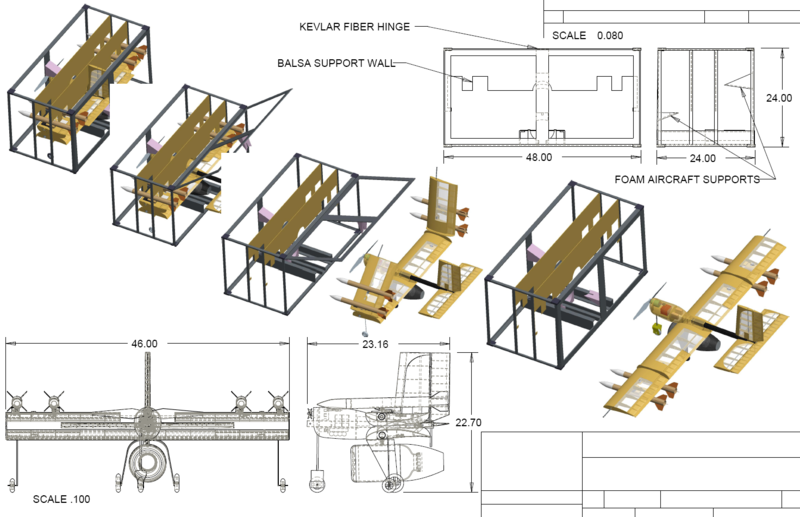 "Fastback" was designed to compete in the 2008/2009 AIAA/Cessna/ONR Design/Build/Fly contest, held in Tucson, AZ in April of 2009. The name "Fastback" originates from the concept used to rapidly remove the airplane from its storage crate, and prepare it for flight. A crew member simply pulls a rod on the tail to back the airplane out of the box. 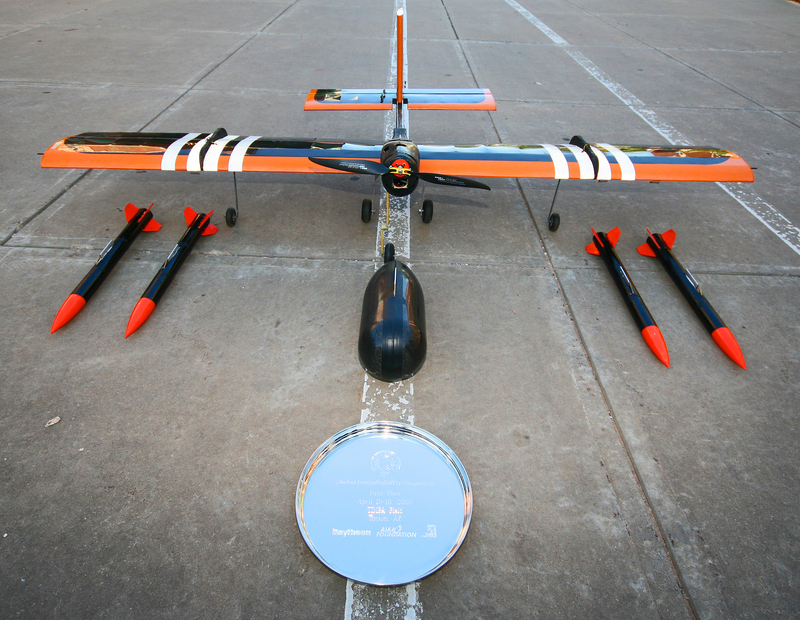 Simultaneously and automatically, all 5 payloads are mounted and secured, the tail extends and locks, batteries are connected, and then two other crew members, unfold the wings. 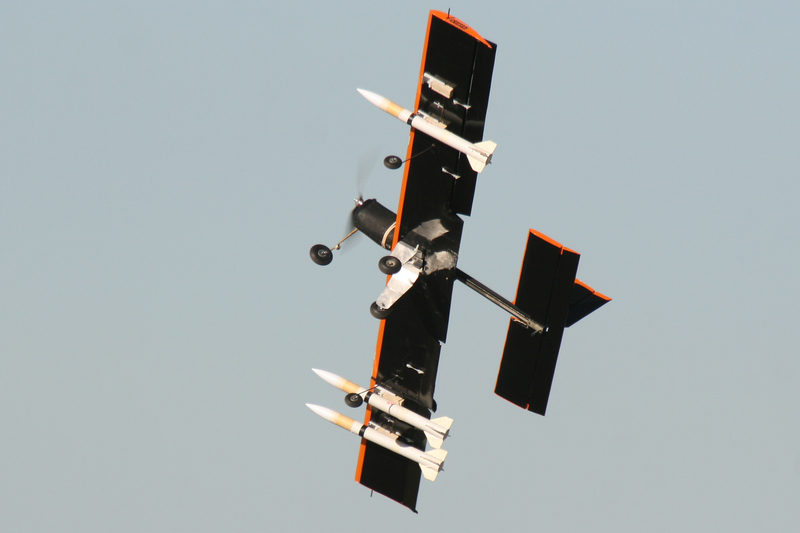 A three-man crew is capable of starting with the plane in the box, and making it flight ready, in under 5 seconds. 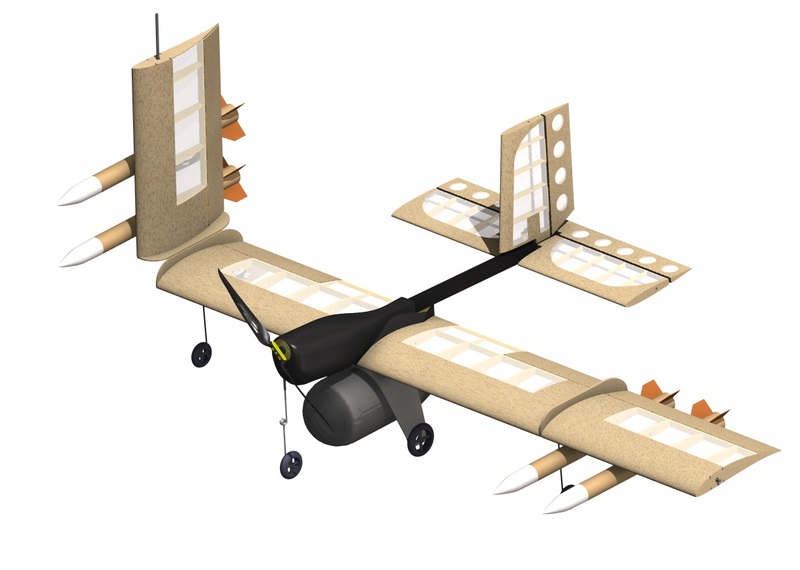 The aircraft was designed for 4 different missions: A quick assembly mission where the plane must be removed from the box, all payloads installed, and the airplane made flight ready; a high-speed ferry mission, a longer endurance surveillance mission carrying an external centerline tank of 4L of water, and a store release / asymmetric load mission where 1.5lb rocket payloads are remotely deployed in sequence each lap. "Fastback" finished in first place at contest. Take off at gross weight (GW): 86 ft. 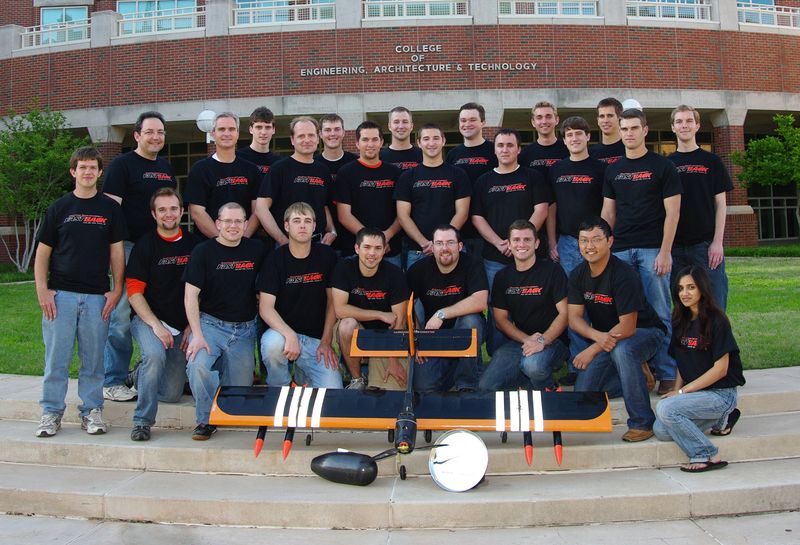 The OSU Black design team was led by a Chief Engineer, and divided into four primary groups: Aerodynamics/Stability and Control, Propulsion, Structures, and CAD. The 2009 contest was a nail-biter for the design teams since each team had a maximum of 5 flight attempts to complete 3 very different and complicated missions. The store release mission in particular was very challenging, and was only completed successfully by 3 teams. Ironically, the mission most feared by the Black team was the surveillance mission. 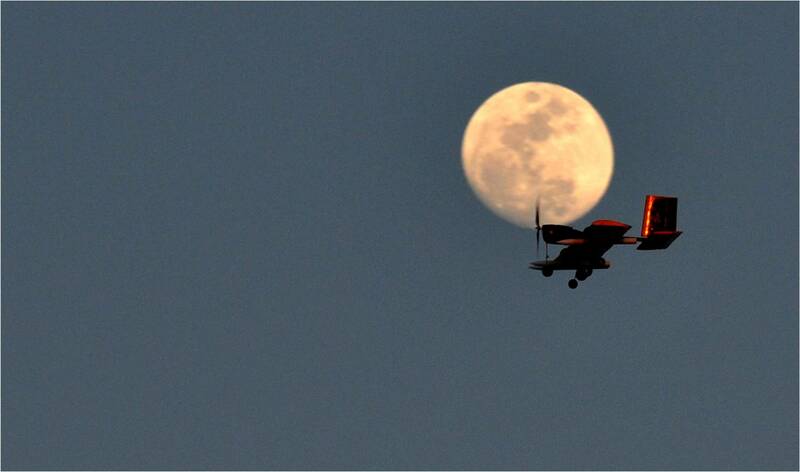 This mission resulted in the highest gross weight and drag, and therefore the longest takeoff run and required mission endurance. Because of the high density altitude due to the temperature, and the lack of wind, the FastBack scratched one flight attempt due to the 100 ft. takeoff requirement. 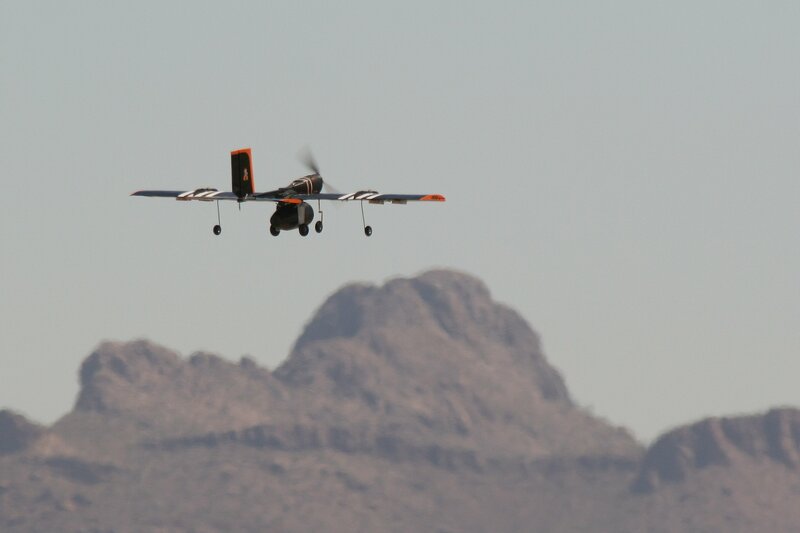 On the next flight attempt, the FastBack was able to take off with only inches to spare, and completed mission 2 with very little battery power remaining. The OSU Black team finished in first place.